Updated: City Gets Insurance Money for 2013 Cash Handling Fraud. Public Still Gets No Answers. This week, after the closed session, Council voted to provide a public update. The original motion was to have the update issued Wednesday night. City Manager Chris Murray asked for the motion to read the update be issued “As Soon As Possible” by way of a statement to media. 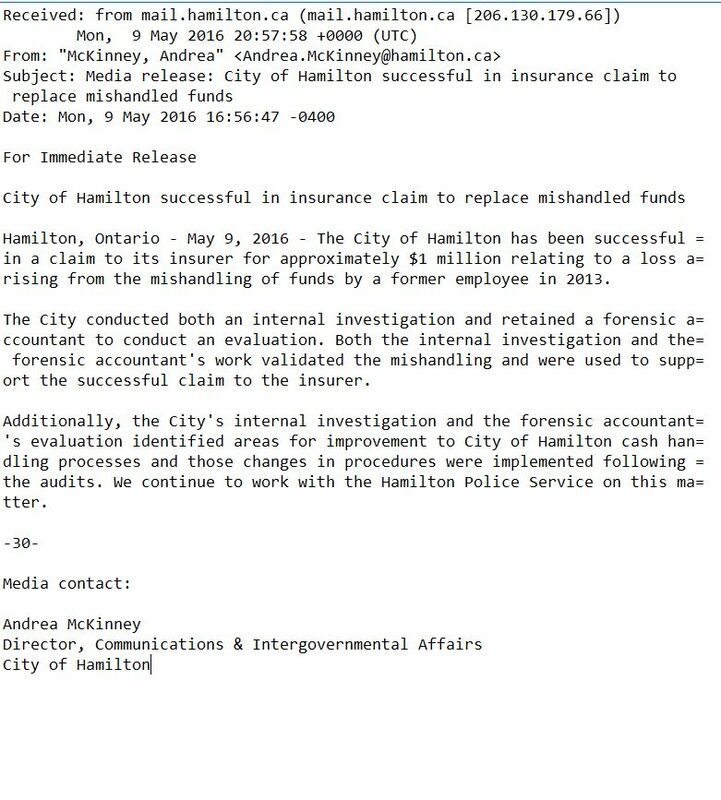 As of the Saturday evening of this posting, The Public Record (which is not recognized as media by Hamilton City Hall) has not seen any email statement nor have the accredited media mentioned the release of any statement. A significant part of the fraud involved taking cash rent payments at the Farmers’ Market. The City refuses to provide the amount that was stolen from the Market, nor acknowledge how it happened. Shane Coleman (no relation), President of the Stallholders Association and now a member of the new Farmers’ Market Board of Directors, has been leading the fight among market tenants to get answers from the City of how much money was taken from the Market, and what the City is doing to recover the funds. Coleman often expressed frustration at City market practices prior to the revealing of the fraud. City staff preferred to collect tenant rent and short-term rental fees in cash from vendors. While the City refuses to comment on the matter, it is widely believed by market vendors the fraud involved siphoning those cash funds. The allegations, and their documentation of the concerns prior to the realization of the fraud are shocking. Shane Coleman spoke with The Public Record last February after getting stonewalled by City Hall. As a member of the market’s Board of Directors, he sought access to the market’s financial records during the time of the suspected fraud. He also sought access to the internal auditors report on the market’s finances that was initiated after the suspected fraud. He says he was denied access to either document. Shane Coleman completed and filed a Freedom of Information request for the documents. The Hamilton Police Service is investigating the fraud. However, as the fraud is not ongoing, the suspect isn’t considered a flight risk, and the suspect is not in a position to commit further fraud, the case is progressing but charges have yet to be laid. Former Chief of Police Glenn De Caire asked for extra funding to add investigators to the HPS fraud unit, saying the unit was unable to keep with the number and complexity of fraud cases. The City Councillors on the Police Board fought against the budget increase, and Council ratified the police budget that did not add investigators to the fraud unit. That’s where the case stood a few weeks ago. That’s a good question, one which should’ve been answered at the end of the Council meeting on Wednesday. If there is a need for a statement, then there is a need for a press conference. 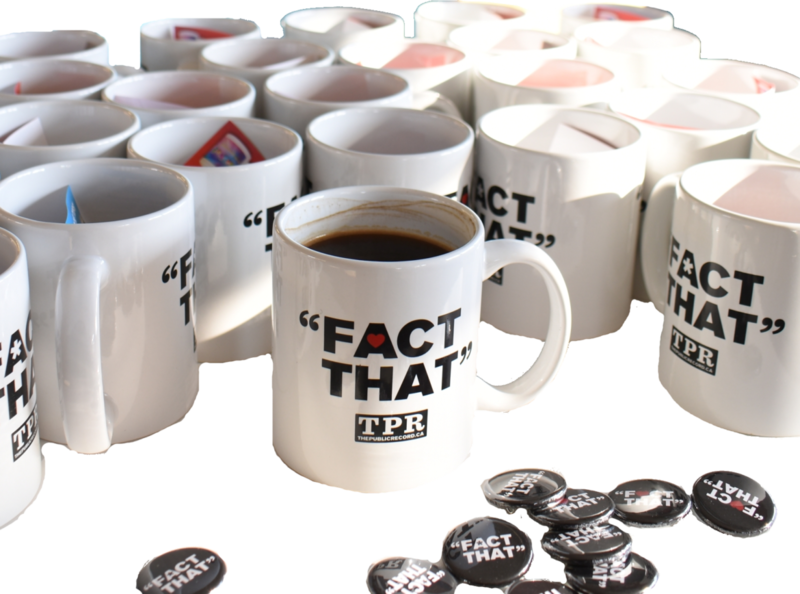 It’s time for the City to do more than give non-answers, it’s time to explain how in 2013, and the decade proceeding, the City of Hamilton was accepting cash payments without the basic accounting safeguards that a small coffee vendor has in place. Even Dickie-Dee knows how much inventory is bought, and how much money should be collected. There are lemonade stands with accounting ledgers! It’s was time for answers in 2013, why are we not getting them in 2016?